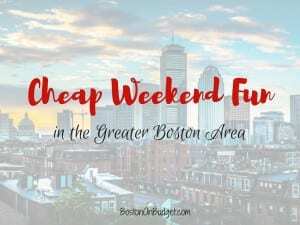 Cheap Weekend Fun in Boston for December 9-10, 2017! Here are some fun and cheap things to do this weekend in Boston! As always, please let me know in the comments if I missed any of your favorites! Holiday on Ice: Saturday, December 9, 2017 from 11-9PM. Enjoy free ice skating (rental rates still apply) and a free ice skating show at 2PM! South Boston Holiday Market: Saturday, December 9, 2017 from 11-6PM. Head to South Boston for this 3rd Annual Holiday Market with over 100 local makers and crafters! Olaf’s Frozen Adventure Big Golden Book Storytime: Saturday, December 9, 2017 at 11AM at participating Barnes and Noble locations. Head to a participating Barnes & Noble location (like the Prudential Center location) on Saturday for a free storytime! Crafting Event at Pottery Barn: Saturday, December 9, 2017 at participating Pottery Barn locations at 11AM. Make felt tassel gift tags at Pottery Barn, pom pom snowflakes at Pottery Barn Kids, and pom pom ornaments at PBteen. Free! The Enchanted Village: November 18, 2017 to January 1, 2018 at Jordan’s Furniture in Avon. Relive wonderful holiday memories and start a new tradition with your family with this fun and free holiday display. Free Santa Photos at CambridgeSide: November 24-December 24, 2017 at CambridgeSide. Head to CambridgeSide for a free photo with Santa!